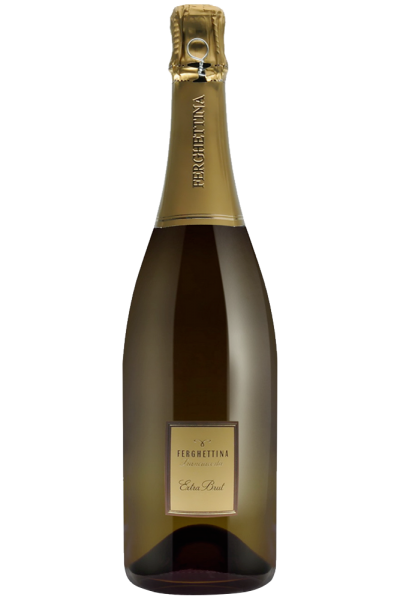 This Franciacorta of Ferghettina, great expression of the Extra Brut category, is an elegant and powerful spokesperson of a corporate style that always manages to combine pleasure and complexity, almost bordering on perfection. A bubble that is not simple yet perfectly enjoyable, produced only in the years considered worthy, following the most refined method of bottle refermentation. Another advantage is the incredible versatility at the table, from appetizer to pizza, a continuous discovery, for a satisfying taste experience! Bright golden yellow in colour, it has a nose of incredible aromatic power and character, within a wider framework ranging from pastry to dried fruit, algae and saffron, together with candied citrus peel, pineapple in syrup and candy. Gourmand, structured, in excellent taste-olfactory balance, it has all the nuances in harmony with each other, in the long persistence.